Ability to work effectively as a member of a team, making appropriate contributions and recognizing the achievements of others. Incidents of domestic violence; use of verbal or physical abuse or violence towards others indicating a lack of self-control; inability to get along with others in work or personal life; failure to listen effectively; use of derogatory stereotypes in jokes or daily language; making rude and/or condescending remarks to or about others; use of physical force to resolve disputes; demonstrated overreaction to criticism; inability to work effectively as a team player; disruptive/challenging to authority; use of harassment, threats, or intimidation to gain an advantage. Making poor choices given known circumstances; indecision when options are not clear-cut; failure to take action when appropriate or demonstrating insecurity about making a decision ; behavior indicating poor judgment or failure to consider appropriate options; failure to learn from past mistakes; inability or unwillingness to modify a position; rigid adherence to rules without consideration of alternative information; failure to see or consider all options; and but not limited to succumbing to peer pressure. Use of illegal drugs; abuse of alcohol or prescription medications; failure to follow all laws and common rules of conduct; associating with individuals who break the law; being argumentative, defensive, or blaming others (or circumstances) for mistakes made; past behavior which indicates a tendency to resort to use of force to gain objectives; overbearing in approach to resolving problems; unnecessarily confrontational; taking unnecessary personal risks; placing others at risk through your actions; reacting childishly or with anger to criticism or disappointment. Making false and/or misleading statements or intentionally omitting relevant information; purposefully withholding information; minimizing past mistakes or errors; blaming others/making excuses for mistakes; attempting to induce others to give false information; bending the rules or using a position of authority for personal gain; refusing to accept responsibility for improper actions; condoning the unethical behavior of others through silence; engaging in illegal or immoral activities of such a nature that would be offensive to contemporary community standards of propriety; theft; and, but not limited to fraud. 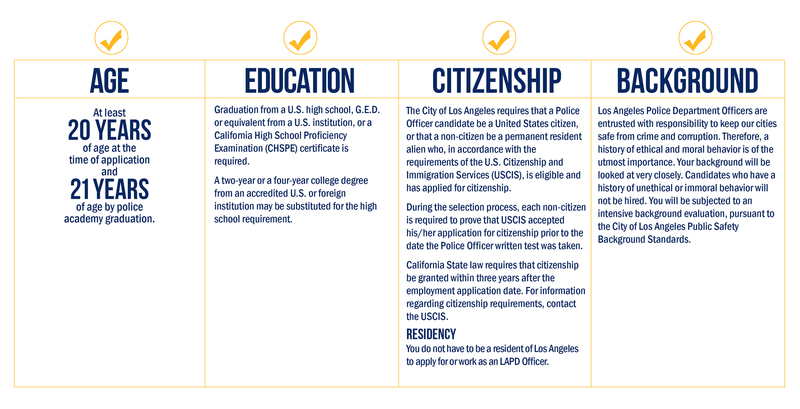 Failure to meet commitments to work, school, family, volunteer, or community activities. Past due accounts, discharged debts, late payments, collection accounts, civil judgments and/or bankruptcy; failure to exercise fiscal responsibility commensurate with income; failure to follow all traffic laws; numerous moving and non-moving violations; at fault traffic accidents; terminations or suspensions from work; reprimands or counseling for poor work performance (including Military service); failure to meet obligations (for example, auto insurance, auto registration, selective service registration, IRS requirements, child support obligations, etc. ); law enforcement contacts, arrests, and convictions (as appropriate); other than Honorable discharge from the military. It is in your best interest to be completely forthcoming and truthful during the background investigation process. Many candidates are disqualified during the background portion of the selection process as a result of dishonesty. These candidates purposely omit information they think will result in their removal from the selection process, when that may not have been the case. 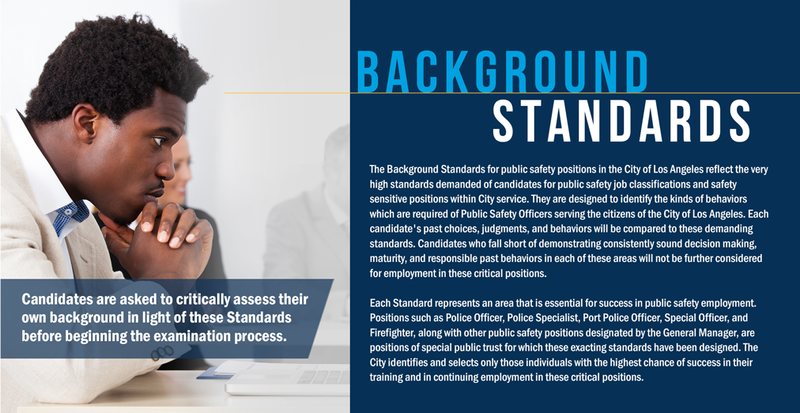 When this information is later discovered during the background investigation, the candidate is disqualified, but not necessarily for the behavior he or she failed to disclose. Rather, the candidate is disqualified for failure to provide complete, accurate, and honest information.